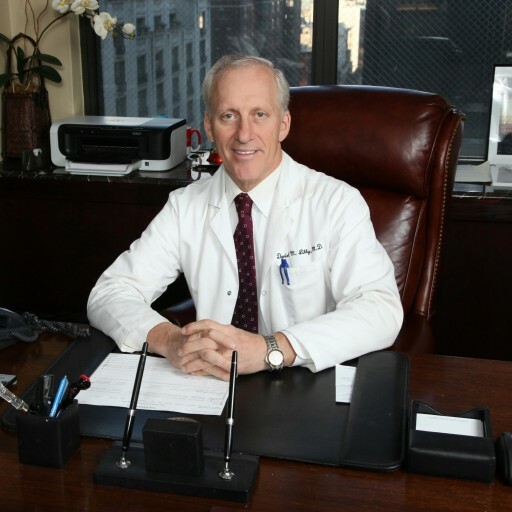 Dr. Daniel Libby is a Professor of Medicine at Weill Cornell Medical Center and Attending Physician at New York Presbyterian Hospital. He is board certified in Internal Medicine, Pulmonary Medicine, and Critical Care Medicine by the American Board of Internal Medicine (ABIM). He is on the board of Overseers for Weill Cornell Medical Center and a member of the medical board of New York Presbyterian Hospital. Dr. Libby’s special area of interests include early detection of lung cancer, COPD, asthma and lung nodules. 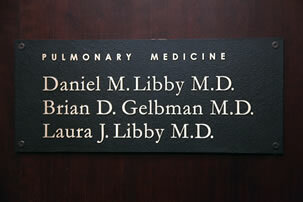 Dr. Libby is the founder of New York Pulmonary Associates. Dr. Libby was born and raised in Great Neck, NY. After attending undergraduate college at Columbia University, he went on to medical school at Baylor College in Houston, Texas. He returned to New York for his internship, residency and fellowship at New York Presbyterian Hospital – Weill Cornell Medical Center. His wife, Nancy Kemeny M.D., is an Oncologist at Memorial Sloan Kettering Cancer Institute and he has three daughters. Libby DM, Briscoe WA, King TKC, Smith JP. Oxygen concentration from room air: a new source for oxygen therapy in the home. JAMA 1979;241:1599-1602. Libby DM, Murphy TF, Edwards A, King TKC. Chronic eosinophilic pneumonia. Am Rev Resp Dis 1980;122:487-500. Libby DM, Smith JP. Clinical considerations in determining Theophylline dosage in the adult. Practical Cardiology 1980;6:84-98. Phillips PL, Amberson JB, Libby DM. Syphilitic aortic aneurysm: an unusual cause of the superior vena cava syndrome. Am J Med 1981;71:171-73. Libby DM, Briscoe WA, King TKC. Relief of hypoxia-induced bronchoconstriction by thirty per cent oxygen. Am Rev Resp Dis 1981;123:171-75. Libby DM, Schley WS, Smith JP. Cricoarytenoid arthritis in ankylosing spondylitis: an unusual case of acute respiratory failure and cor pulmonale. Chest 1981;80:641-43. Libby DM, Smith JP. Acute respiratory failure complicating kyphoscoliosis. J Resp Dis 1981;2:54-58. Libby DM. Pulmonary infiltrates and eosinophilia in a patient with long-standing asthma. Hospital Practice 1981;16:163-68. Libby DM, Boyce B, Briscoe WA, Smith JP. Acute respiratory failure in scoliosis or kyphosis: prolonged survival and treatment. Am J Med 1982;12:109-118. Estepan H, Libby DM. Glucocorticoid therapy of pulmonary disease. Drug Therapy 1982;12:109-18. Libby DM, Gibofsky A, Fotino M, Smith JP. Immunogenetic and clinical findings in idiopathic pulmonary fibrosis: increased incidence of HLA-Dr2. Am Rev Resp Dis 1983;127:618-22. Romano P, Libby DM. Sarcoidosis: diagnosis and treatment. Drug Therapy 1984;9:31-51. Nash TW, Libby DM, Horowitz MA. Interactions between the Legionnaire’s Disease bacterium (Legionella pneumophila) and human alveolar macrophages: Influence of antibody, lymphokines, and hydrocortisone. J Clin Invest 1984;74:771-82. Murray HW, Gellene R, Libby DM, et al. Activation of tissue macrophages from AIDS patients: In vitro response of AIDS alveolar macrophages to lymphokines and gamma interferon. J Immunol 1985;35:2374-77. Mangla A, Fisher J, Libby DM, Saddekni S. Sarcoidosis, pulmonary hypertension and acquired peripheral pulmonary artery stenosis. Cathet Cardiovasc Diagn 1985;11:69-74. Murray HW, Scavuzzo D, Jacobs JL, Kaplan MH, Libby DM, Roberts RB. In vitro and in vivo activation of human mononuclear phagocytes by gamma interferon: Studies with normal and AIDS monocytes. J Immunol 1987;138:2457-62. Libby DM. The eosinophil in idiopathic pulmonary fibrosis (editorial). Chest 1987;92:7-8. Nash T, Libby DM, Horowitz M. IFN-y-activated human alveolar macrophages inhibit the intracellular multiplication of Legionella pneumophilia. J Immunol 1988;140:3978-81. Murray HW, Szuro-Sudol A, Weller D, Oca MJ, Granger AM, Libby DM, Rothermal CD, Rubin BY. Respiratory burst-independent antimicrobial activity of the interferon-gamma-stimulated human macrophage. Role of Tryptophan degradation. Infect Immun 1989;57:845. Henschke C, Yankelevitz D, Conners CJ, Libby DM. A solitary pulmonary nodule in young asymptomatic patients. Infect Surg 1989;8:405-8. Libby DM, Smith JP. Acute respiratory failure complicating kyphoscoliosis. J Musculoskel Med 1989;6:81-86. Libby DM, Altorki N, Gold J, Pitts WR, Bander N, Frankel S. Simultaneous pulmonary and renal malignancy. Chest 1990; 98:153-56. Jacobs JL, Libby DM, Winters RA, Gelmont DM, Fried ED, Hartman BJ, Lawrence J. A cluster of Pneumocystis carinii pneumonia in adults without predisposing illnesses. N Engl J Med 1991;324:246-50. Libby DM, Klein L, Altorki N. Aspiration of the nasal septum: A new complication of cocaine abuse. Ann Int Med 1992;116:567-68. Burdett PH, Henschke CI, Libby DM, Altorki NK, Skinner DB. Bronchogenic spread of TB in a patient with adenocystic carcinoma of the right upper lobe bronchus. Infect Med 1993;10:55-58. Henschke CI, Miettinen OS, Yankelevitz DF, Libby DM, Smith JP. Radiographic screening for cancer: Proposed paradigm for requisite research. Clin Imaging 1994;18(4):16-20. Uzzo RG, Libby DM, Vaughan ED. Co-existing lymphangio-leiomyomatosis and bilateral angiomyolipomas in a patient with tuberous sclerosis. J Urol 1994;151:1612-15. Kuhel WI, Chow H, Godwin TA, Minick CR, Libby DM. Elevated carcinoembryonic antigen (CEA) levels correlating with disease recurrence in a patient with adenoid cystic carcinoma. Report of a case with immunohistochemical correlation. Head & Neck 1995;17:431-36. Libby DM, Henschke CI, Yankelvitz DF. The solitary pulmonary nodule. Update 1995. Am J Med 1995;99:491-95. Yankelevitz D, Henschke C, Koizumi J, Altorki N, Libby DM. CT-guided transthoracic needle biopsy of small solitary pulmonary nodules. Clin Imaging 1997;21:107-10. Russi T, Libby DM, Henschke C. Clinical utility of computed tomography in the diagnosis of pulmonary embolism. Clin Imaging 1997; 21:175-82. Yankelevitz DF, Henschke CI, Koizumi J, Libby DM, Smith JP, Altorki N. CT-guided transthoracic needle biopsy following negative fiberoptic bronchoscopy in solitary -pulmonary nodules. Clin Imaging 1997; 22:7-10. Libby DM, White DA. Pulmonary toxicity of drugs used to treat systemic autoimmune disease. Clin Chest Med 1998; 19:809-21. Henschke CI, McCauley DI, Yankelevitz DF, Naidich DP, McGuinness G, Miettinen OS, Libby DM, Pasmantier M, Koizumi J, Altorki N, Smith JP. Early Lung Cancer Action Project (ELCAP): Overall design and findings from baseline screening. Lancet 1999;354:99-105..
Henschke CI, McCauley DI, Yankelevitz DF, Naidich DP, McGuinness G, Miettinen OS, Libby DM, Pasmantier M, Koizumi J, Altorki N, Smith JP. Early lung cancer action project : A summary of the findings on baseline screening. The Oncologist 2001; 6:147-152. Henschke CI, Naidich DP, Yankelevitz DF, McCauley DI, McGuinness G, Smith JP, Libby DM, Pasmantier MW, Koizumi J, Vazquez M, Flieder D, Altorki NK, Miettinen OS. Early Lung Cancer Action Project: Initial findings on repeat screening. Cancer 2001; 92:153-159. Henschke CI, McCauley DI, Yankelevitz DF, Neidich DP, Mihlinness G, Miettinen OS, Libby D, Pasmantier M, Koizumi J, Altorki W, Smith JP. Early Lung Cancer Action Project: Overall design and findings from baseline screening. Oncology 2001; 6(2):147-152. Henschke CI, Yankelevitz DF, Libby DM, et al. Early Lung Cancer Action Project: annual screening using single-slice helical CT. Ann NY Acad Sci 2001; 952: 124-134. Henschke CI, Yankelevitz DF, Libby D, Pasmantier M, Smith JP. Early Lung Cancer Action Project: Annual screening using single-slice helical CT. Seminars in Respiratory and Critical Care Medicine 2002 (in press). Henschke CI, Yankelevitz DF, McCauley D, Libby D, Pasmantier M, Smith JP. Computed Tomography Screening for Lung Cancer in Clinics in Chest Medicine 2002; 23(1): 49-57. Miettinen OS, Henschke CI, Pasmantier MW, Smith JP, Libby DM, Yankelevitz DF. Mammographic screening : No reliable supporting evidence? Lancet 2002 ; 359 : 404-406. Miettinen OS, Henschke CI, Pasmantier MW, Smith JP, Libby DM, Yankelevitz DF. Henschke CI, Yankelevitz DF, McCauley D, Libby D, Pasmantier M, Smith JP. CT Screening for lung cancer. Cancer Chemother Biol Response Modif 2002 ; 20 : 665-676. Henschke CI, Yankelevitz DF, Libby DM, Kimmel M. CT Screening for Lung Cancer : the first ten years. CA The Cancer Journal 2002 ; 8 :1, 547-554.